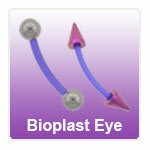 Bioplast is a biocompatible material which is safe for body piercing. 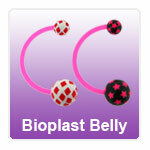 Bioplast can be steralised by autoclave. 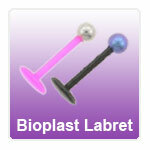 Bioplast is ideal for initial piercings. 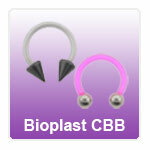 You simply cut it to size with either a sharp knife or scissors, remembering to allow 2mm either end for the attachments to screw on (eg for a 10mm length cut a 14mm length). 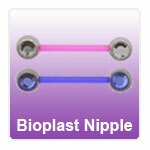 You can always trim more off but you can't put it back! 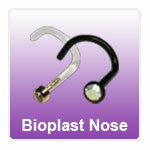 The attachments will simply thread onto the Bioplast shaft and you are ready to go. 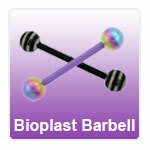 Bioplast is very versatile and providing that the Gauge of your attachments are the same as the Bioplast bar they will easily screw on.